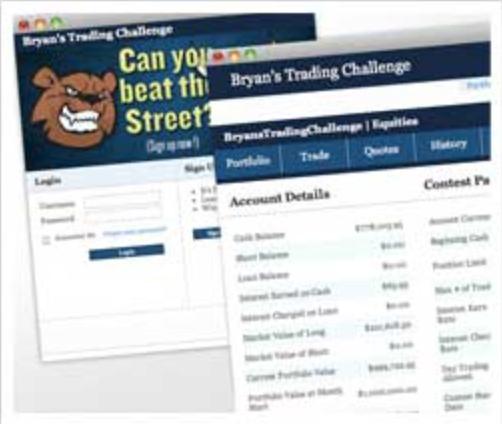 Add a stock contest widget to your website in seconds! 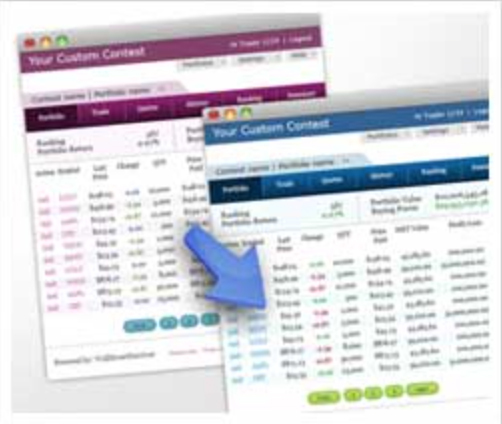 Stock-Trak’s “MiniTrak” is the ideal solution for classes, groups, and financial websites that want to add branded, customized online stock games to their own website. Matching of your website’s look and feel. Customizable trading dates and portfolio parameters. Ability to trade U.S. stocks and ETFs. Rapid deployment of our virtual trading software on your website with just a few lines of code. Easy I-frame measuring 550 wide and 700 pixels tall. Low monthly licensing fee based on number of users. Easily accommodate 1 to 250 players on your website. Includes live email support during market hours.